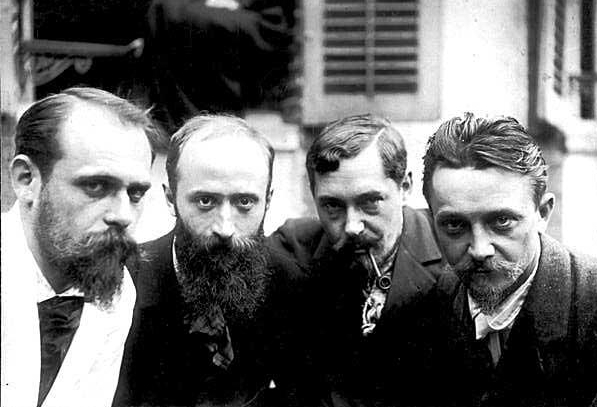 Les Nabis were a group of six students from the Académie Julian in Paris: Paul Sérusier, Pierre Bonnard, Édouard Villard, Ker-Xavier Roussel, and Félix Vallotton. Their movement began in 1888 and continued into the 1900s. With Paul Sérusier as their leader, they called themselves Les Nabis, a Hebrew word meaning “prophets.” Les Nabis held the belief that art was the visual expression of an artist’s personal synthesis of nature and aesthetic metaphors and symbols. They came together as a group as a revolt against the académie. Les Nabis were different in their use of various medias, for example, using oils on not just canvas, but cardboard. The group of students did not restrict themselves to just sketches, paintings, or prints, but they produced commercial art, printed posters, advertisement, flyers, magazines, books, and designed interior decorations. Each of the members of the Nabis were unique in their individual styles, but they shared similar qualities aesthetically, technically, socially, and in their conceptual approaches. 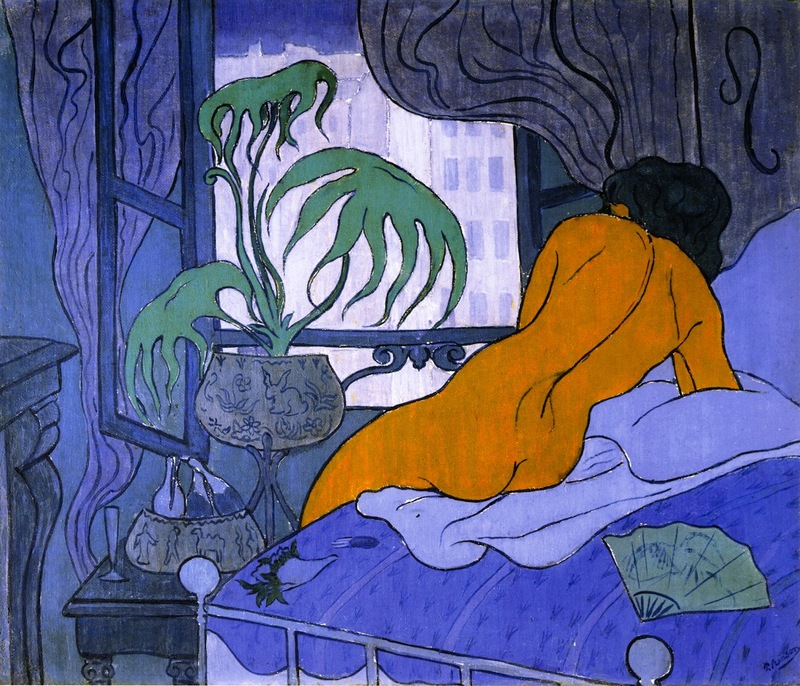 For the most part, Les Nabis were highly influenced by Japanese woodcuts, the French Symbolist paintings, English Pre-Raphaelite, and Paul Gauguin. They shared in aesthetics in that their paintings had a sense of flatness to them. Their use of strong outlines were prevalent. Technically, the Nabis artist worked primarily in paint, despite their expansion in various medias. The goal of the Nabis was to make use of texture in their paintings by creating many layers of paint on the canvas. Socially, the Nabis sought to revolt against the Académie, similar to their influences that sought to create out of the ordinary subject matter. Also, their conceptual approach was similar in that the artists wanted to be different in their approach to the arts. Unlike Impressionism or Realism, the Symbolists believed that art should reflect an emotion rather than represent the world in the objective. Paul Ranson, a transfer student to the Académie Julian, previously having attended Ecoles des Arts Décoratifs. He then met Paul Sérussier in 1888 and was one of the founders of Les Nabis. Ranson and his wife would eventually start the Académie Ranson in Paris. 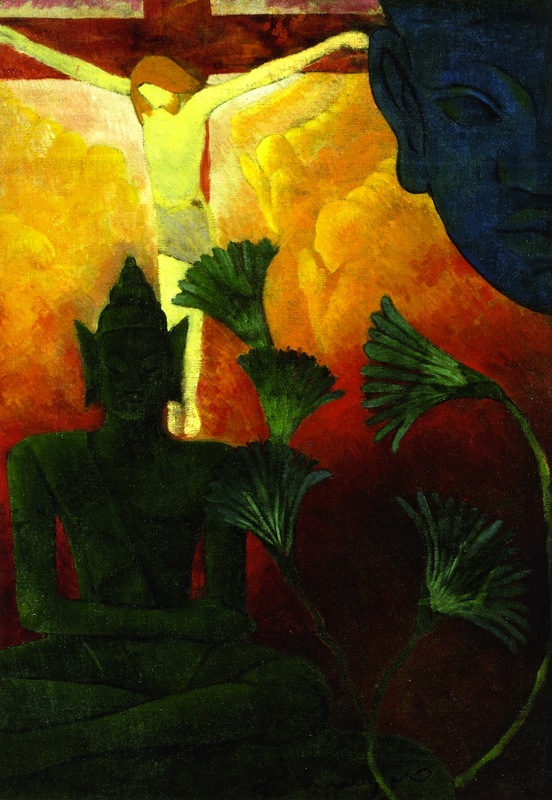 Ranson shared constant motifs of the exotic, symbolic, and the quasi-religious rather than subjects observed from nature. In his painting “The Blue Room” the Japanese influence is very evident. The strong use of outlines and the flatness of colors would be a precursor to Art Nouveau and the Vienna Secession. His subject matter was interesting in that he explored conceptually and religiously in the occult as well as in spirituality and Christianity. It is evident with his subject matter varying from Greek and Roman mythology to Biblical stories. 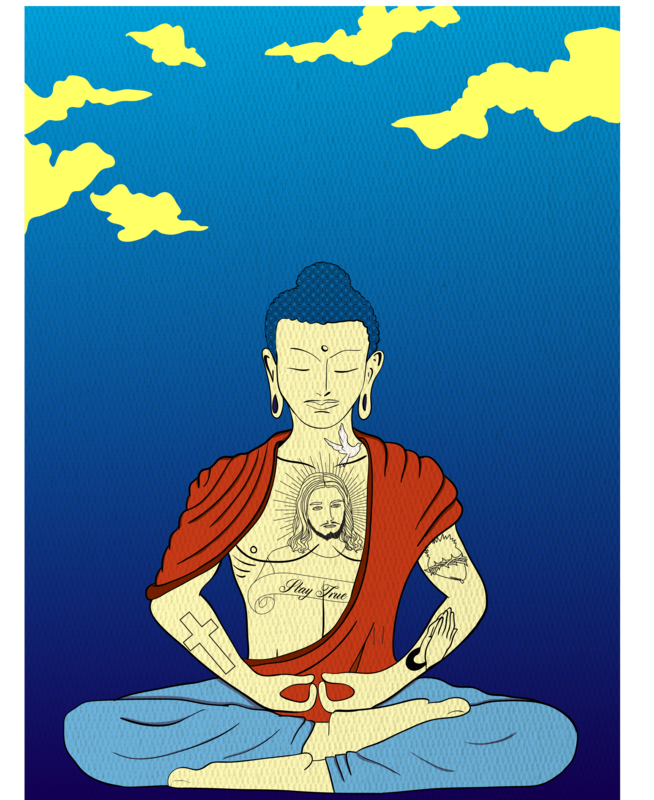 For my study of the Ranson’s work, I decided to base my piece off of his “Christ and Buddha.” I thought to combine both influential figures from each religion in a more modern way. When studying Christianity and Buddhism, it is easier to see the similarities that each religious figure taught. I also sought to include similar techniques and style by including the bold outlines and simplified background.